Uh-oh, better keep Al Sharpton and Jessie Jackson away from sharp objects, this honest statement is going to make them very depressed. Darrell Scott, an African-American pastor, raised eyebrows with his proclamation that President Donald Trump will be the most pro-black president in his lifetime. 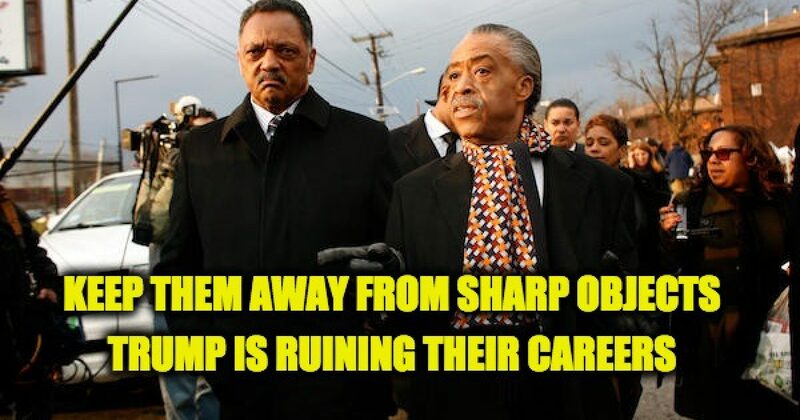 Pastor Scott is correct and unless President Trump changes his policies, the careers of frauds like Al Sharpton and Jessie Jackson will be ruined. What will they do now that GOP policies are helping America’s black population? ﻿ Trump also noted during the meeting that the unemployment rate for blacks is the lowest it has ever been since the statistic has been measured. As Trump said to the African American community during the campaign, “What the hell do you have to lose?” Apparently nothing, just gains. This has led to the recent Rasmussen numbers revealing that Trump’s approval ratings among black voters have almost doubled in the past year, it now stands at 29% vs. 15% last year.